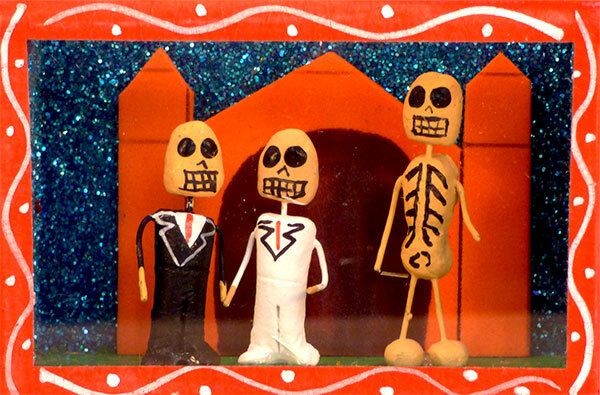 Skeleton boxes or Day of the Dead nichos are used in Mexico to decorate alters which are constructed to honour the souls of dead friends and relatives. 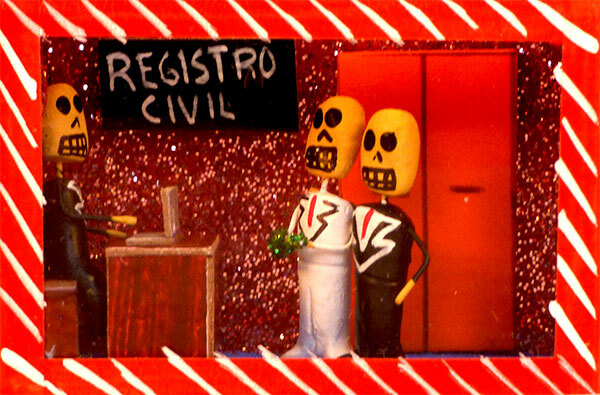 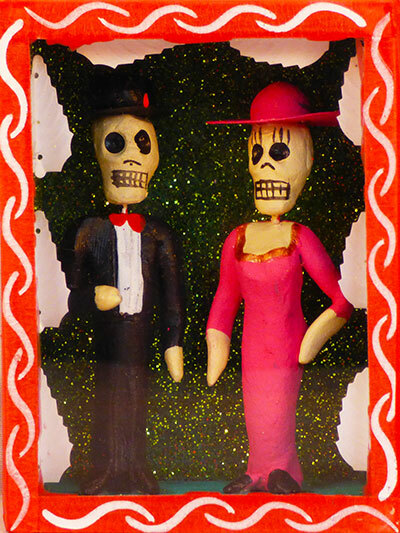 These nichos take the form of handmade wooden boxes with front and top windows containing scenes and figures relevant to El Dia de los Muertos. 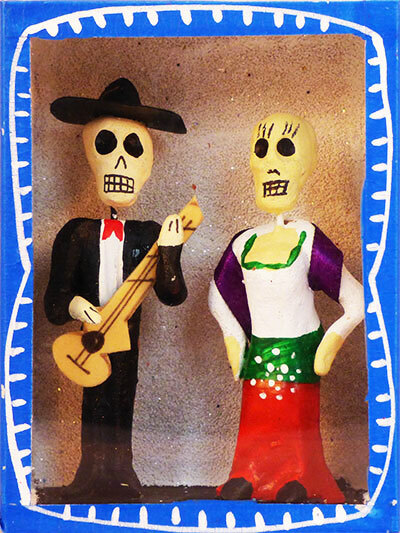 They are painstakingly carved, painted and decorated resulting in unique, intricate works of art. 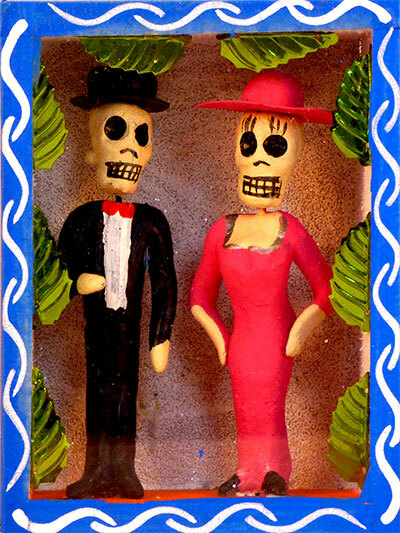 Click on a nicho to enlarge the image. 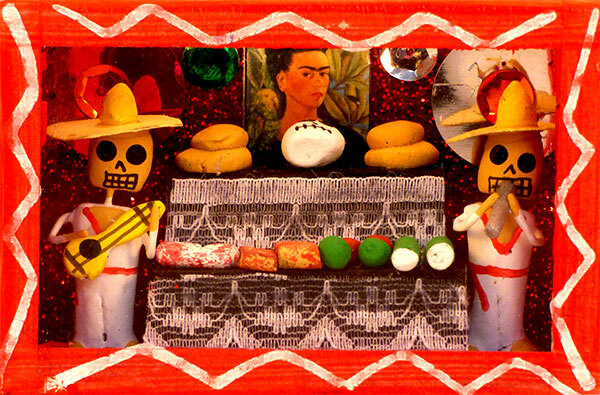 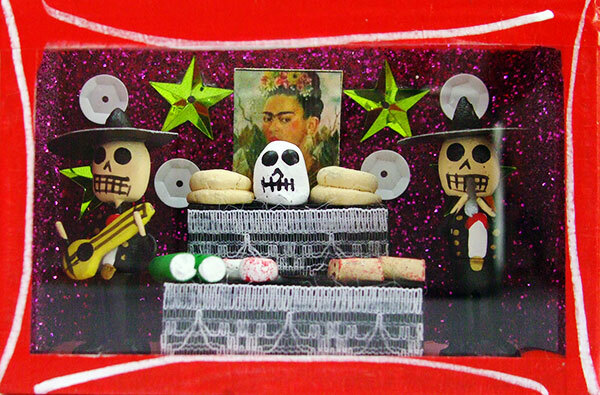 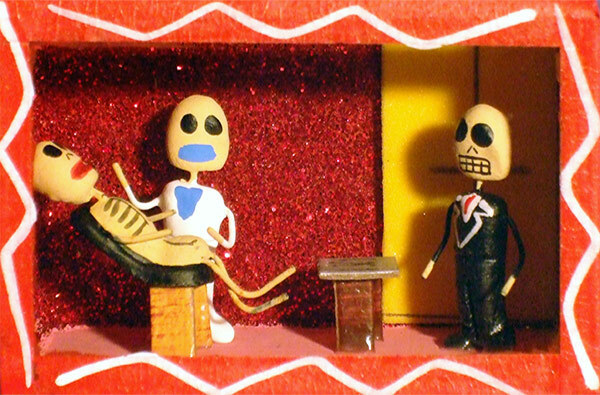 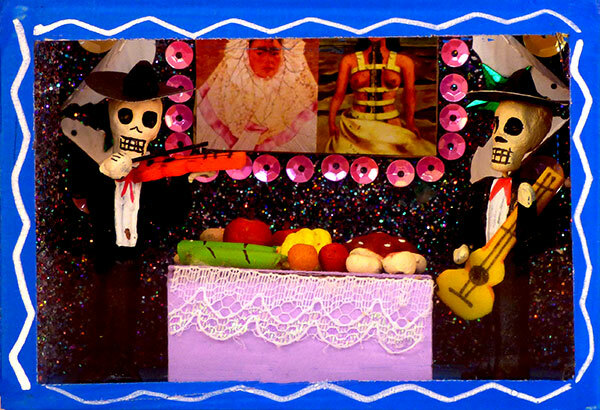 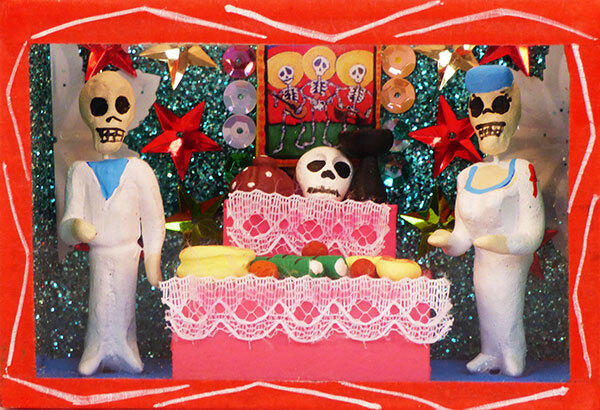 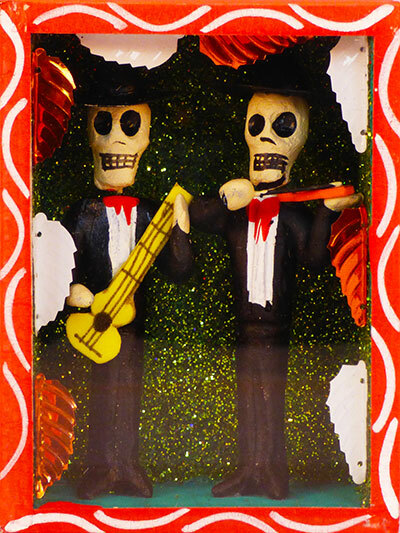 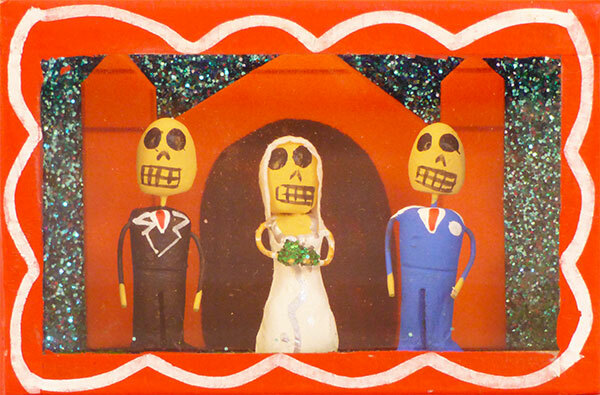 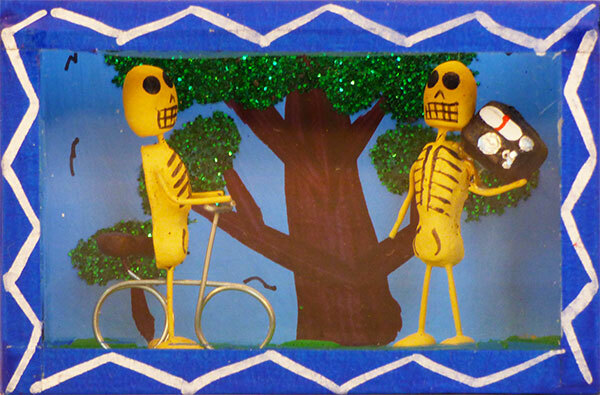 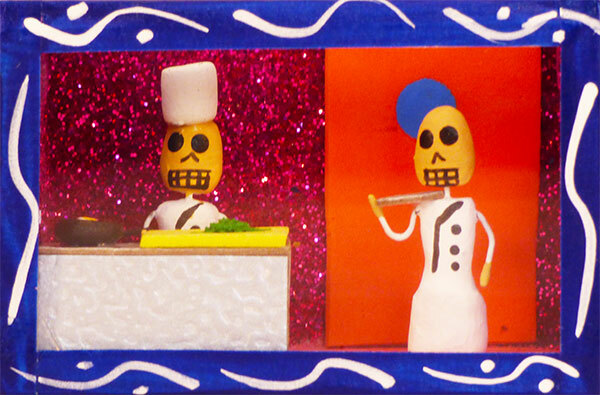 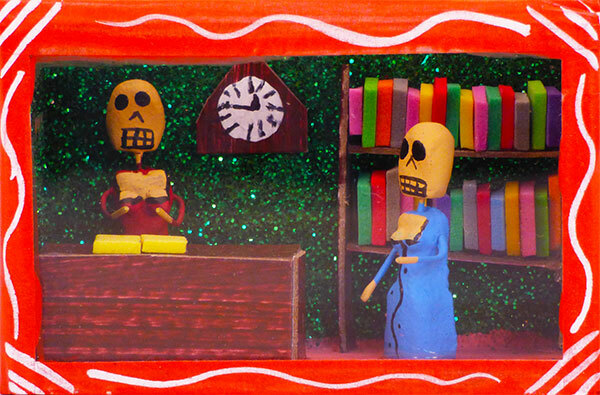 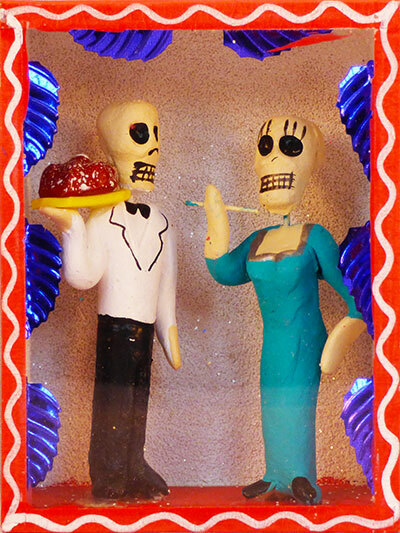 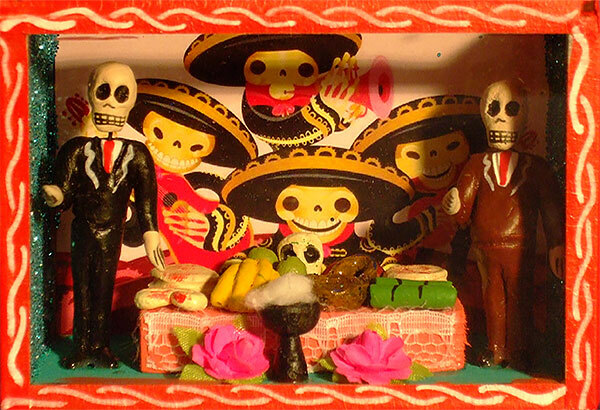 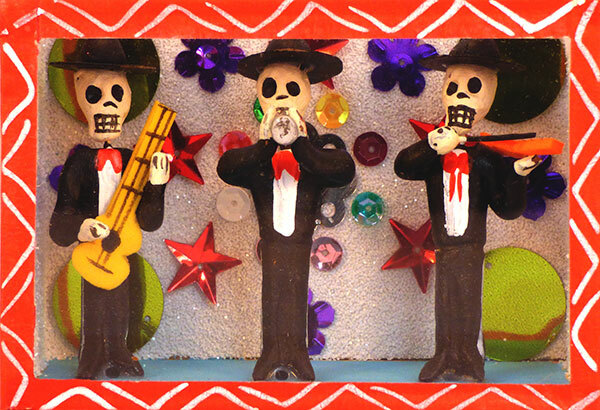 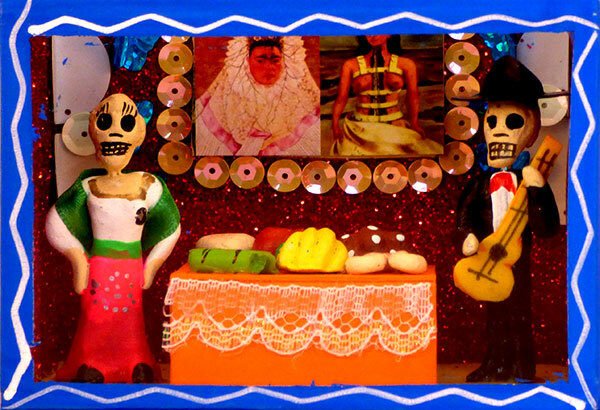 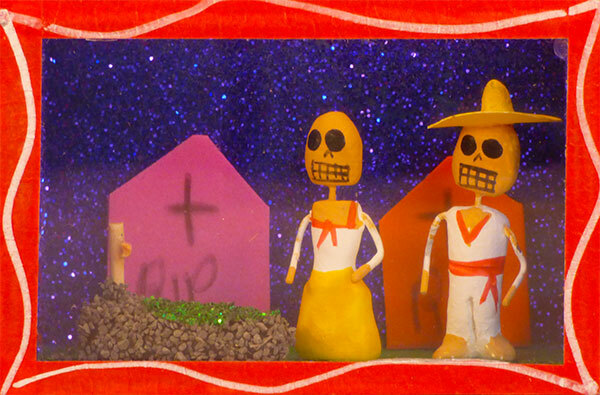 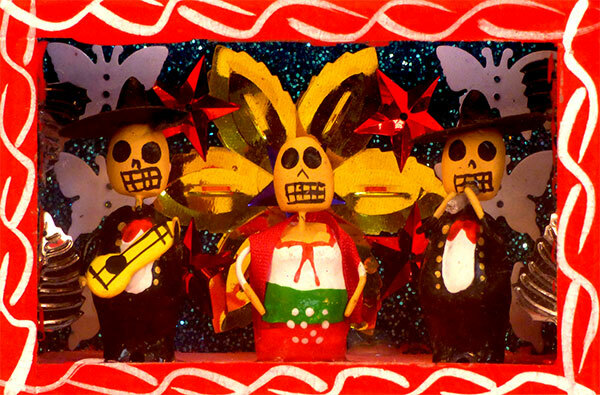 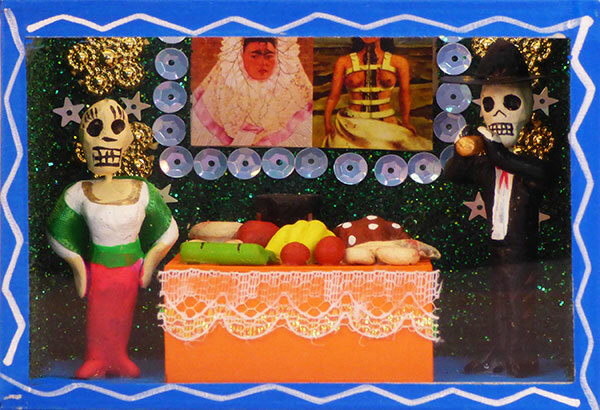 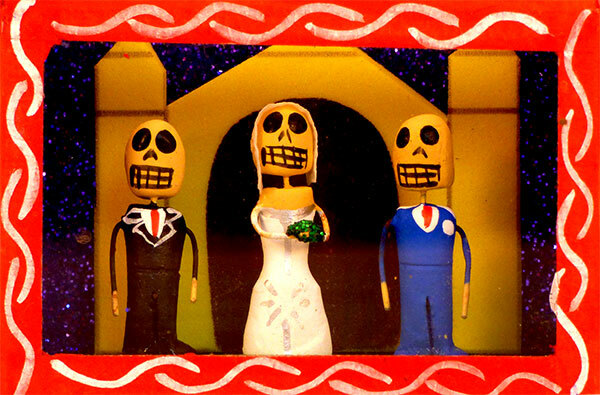 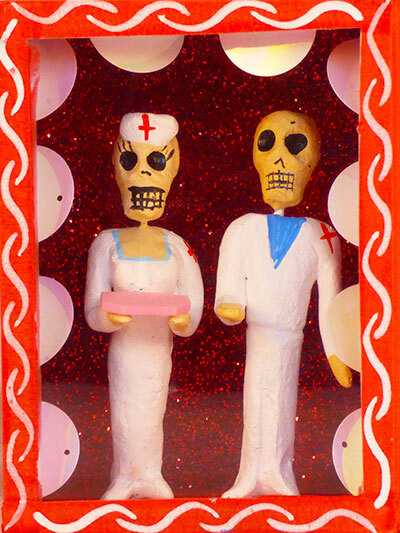 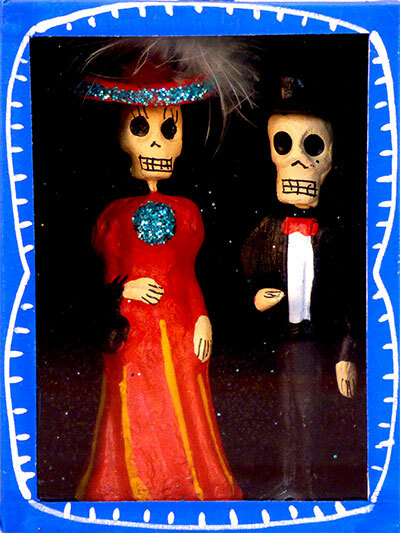 These Shadow Boxes or Dioramas are a good example of current Mexican folk art which often relies heavily on religious themes, in this case Dia de Muertos. 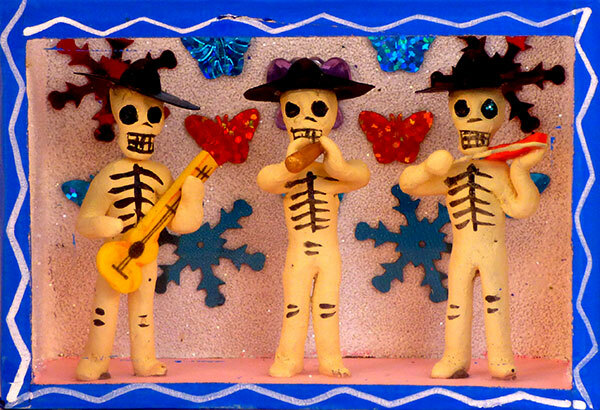 Day of the Dead (Dia de Muertos) originally took place at the beginning of summer, however this moved to November 2nd following colonization by the Spanish to coincide with the Christian holy day of All Souls' Day. 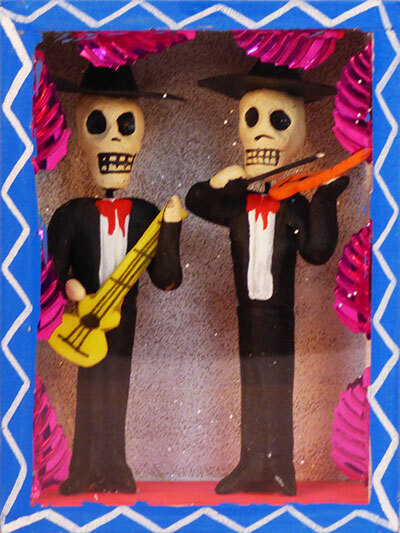 Dia de Muertos in observed throughout Mexico with parties, dancing, singing and fireworks. 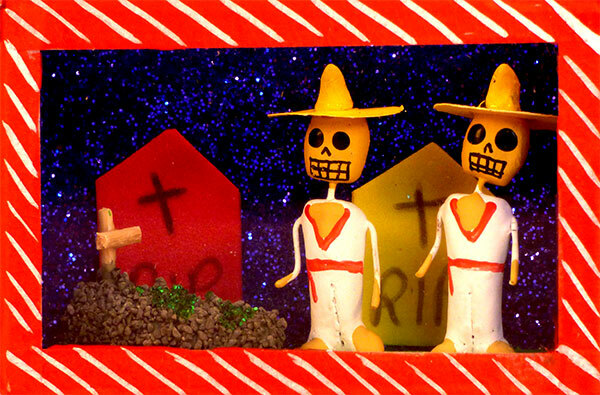 It is a celebration day to honour the dead.